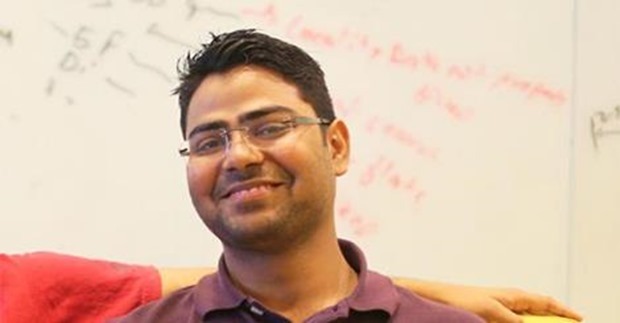 Rahul Yadav, The CEO Who Gifted All His Shares To Employees! 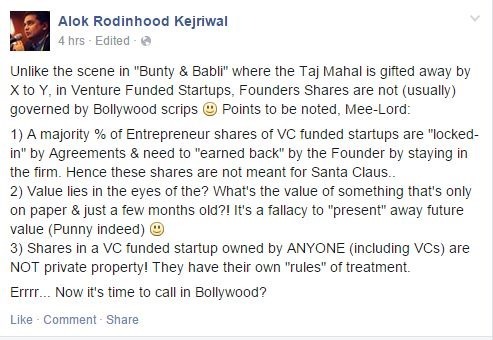 Rahul Yadav, The CEO Who Gifted His Shares To Employees. But, Is It Charity or a Shrewd Move? You can either love him or hate him; but you can’t ignore him. Rahul Yadav, the unconventional, maverick and at time totally unpredictable co-founder of Housing.com has decided to ‘gift’ all his shares in the company to employees. In a meeting conducted at Town Hall in Bangalore, he announced this surprising and shocking news, which has been described as unprecedented in Indian startup scene. Later, a company PR officially announced: “Rahul Yadav has decided to allot all his personal shares worth Rs 150-200 crore to the employees of Housing.Com who number 2,251”. Rahul’s press coverage is now becoming a weekly issue. Just last month he had announced his resignation which he took back few days later. Before that, he was in news for an ugly, public spat with Sequoia Capital’s Indian executives. 1 But How Much Is Rahul Worth Right Now? 2 Has Board Approved This Decision? 4 Charity or a Shrewd Diplomatic Move? But How Much Is Rahul Worth Right Now? As of now, Rahul owns 4.57% stake in Locon Solutions, the holding company of Housing.com. After the last fundraising in December last year, the company was worth Rs 1800 crore. Hence, based on this, Rahul’s stake comes out to be Rs 84 crore (or thereabouts). And there are total of 2251 employees in Housing.com at the time of writing. Hence, theoretically, every employee will now get Rs 3.8 lakh, which is close to one year’s salary of an average Housing.com employee. And, as per Gifts Taxation under Income Tax Act, 1961, every employee will have to pay taxes upto 30% on this ‘gift’, in case this transfer of share materializes; which seems highly unlikely as of now. Has Board Approved This Decision? The board and venture capitalists who have invested in Housing.com hasn’t yet approved Rahul’s decision to gift away his shares. As per startup experts, such gifting of shares by the founder of a venture backed startup is not allowed; and there are several clauses attached to it. As per Alok, the shares are not like normal assets or properties which can be transferred easily. They are bound by the prescribed rules which must have been formulated at the time of funding. As per a report by VC Circle, not only general public but Housing.com’s other co-founders and investors are also shocked by this sudden announcement of Rahul Yadav to donate his shares to all employees. And the reason is that, few days ago, all co-founders and investors including SoftBank, Helion Ventures and Nexus Venture Partners had decided to part away from their shares in order to create a huge pool for ESOP (Employee Stock Ownership Plan). But even before executing that, Rahul has turned into a monk and decided to donate his shares, announcing it publicly. As per reports, this public announcement of a private decision hasn’t gone down too well with his colleagues and friends, and we can expect some major decision shortly. Charity or a Shrewd Diplomatic Move? In the game of Chess, the King often sacrifices pawns in order to get to that bigger kill. Is this decision by Rahul an example of extreme charity or a smart, well thought and shrewd diplomatic move? Strategically, Rahul may have made this move to keep all employees on his side, in case there is a full fledged corporate war between him and the VCs. After all, if 2251 employees support Rahul on his every decision, then there is little VCs can do to stop him. After offering every employee his one year’s salary as a gift (if the Board approves), he has not only won over their hearts but also converted into a Messiah, a Robinhood, who will be fully supported by his beneficiaries. Housing.com is right now facing shortage of funds, and they need some big ticket venture capital funds to sustain the operations and advertisement campaigns which they have unleashed recently. Is this move to donate his stake another way of arm-twisting the venture capitalists, so that he is able to execute his decisions and remain out of control? One thing is for sure, he is a persona of confidence.